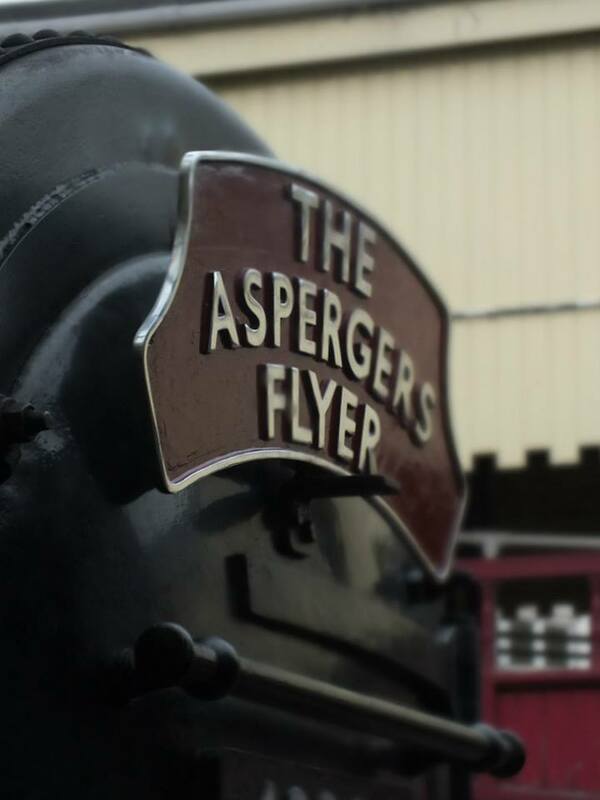 The first event of the Asperser’s Fundraiser was on the 30th March, at the birthplace of the charity, the Keighley and Worth Valley Railway. Not only was it home of a onetime only barbers shop, it also gave the staff a big well done for all of their help that they have done over the past year! Check out the images below for highlights of the day. Standing at Keighley next to their brainchild, Oliver Morgan, our Chairman, and Joseph Halloway, our Vice Chairman, enjoy the glory of their hard labor over the past year. Exactly a year ago, they shaved their heads at Oxenhope and raised £1200 for the NAS! 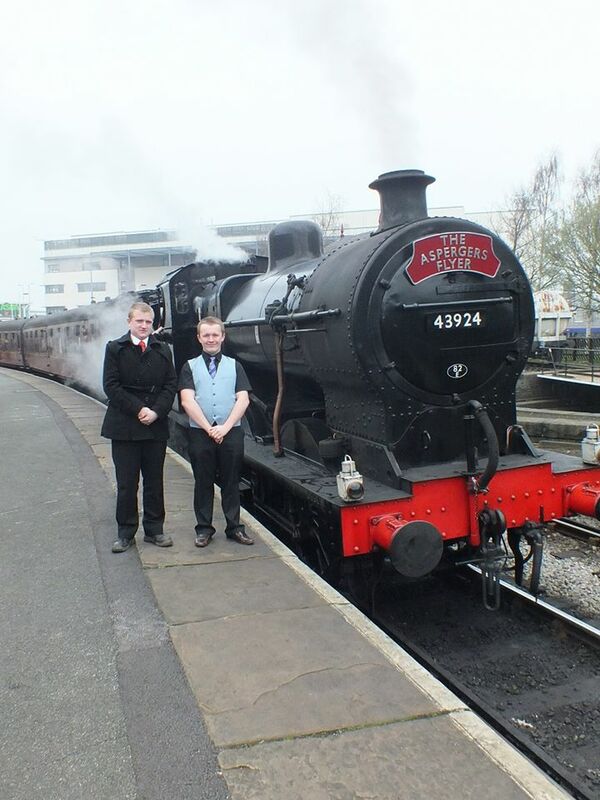 The engine for the special anniversary train was the KWVR’s 43924. The engine originally worked freight trains over the Midland Railway and came to the end of it’s working life in 1965. It went to the famous Barry Scrapyard and was the first to lead the onslaught of 213 locos to escape! 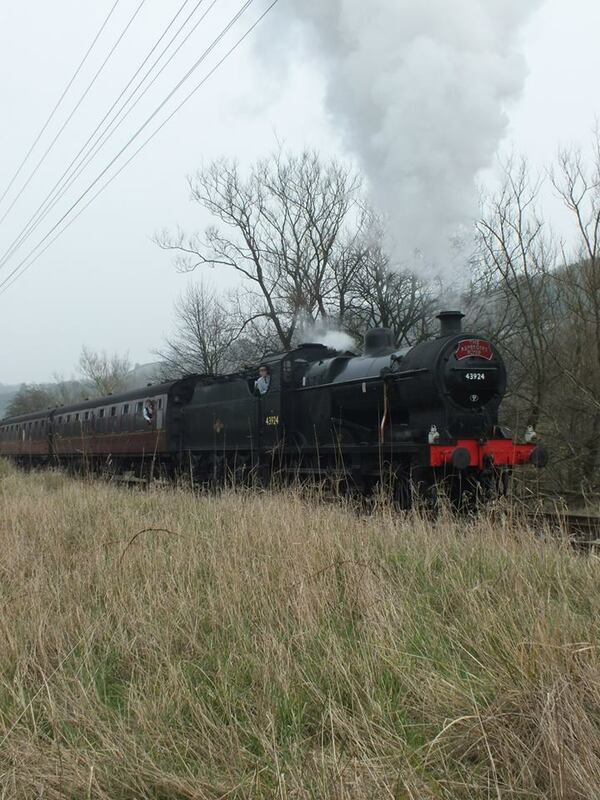 The Flyer Flys through Damens Junction, tearing it’s way up to Oxenhope in fine style! The engine is nearly 100 years old! 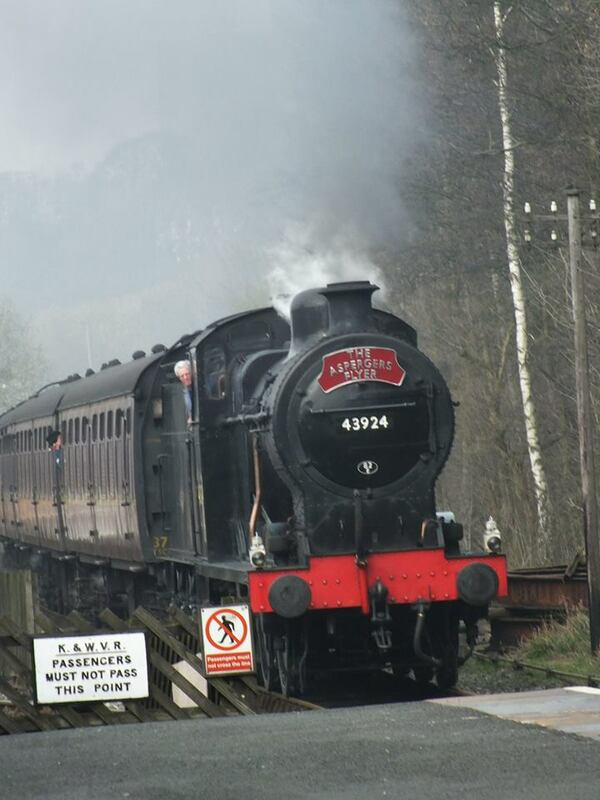 Here she’s seen racing around the famous Oakworth Curve where most of the filming for the Railway Children took place! 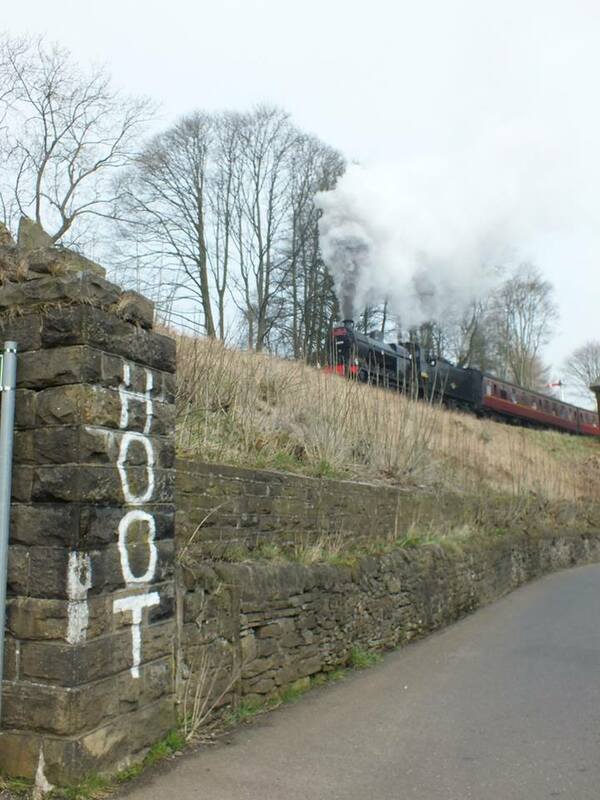 When we got back to Keighley, we took the opportunity to get an artistic photograph of the Flyer adorning another historically priceless locomotive! I hope the first event’s success will be the start of a fantastic year for the charity. As mentioned above, the next event is at the Battlefield Line Railway, a new partner to the Asperger’s Fundraiser! 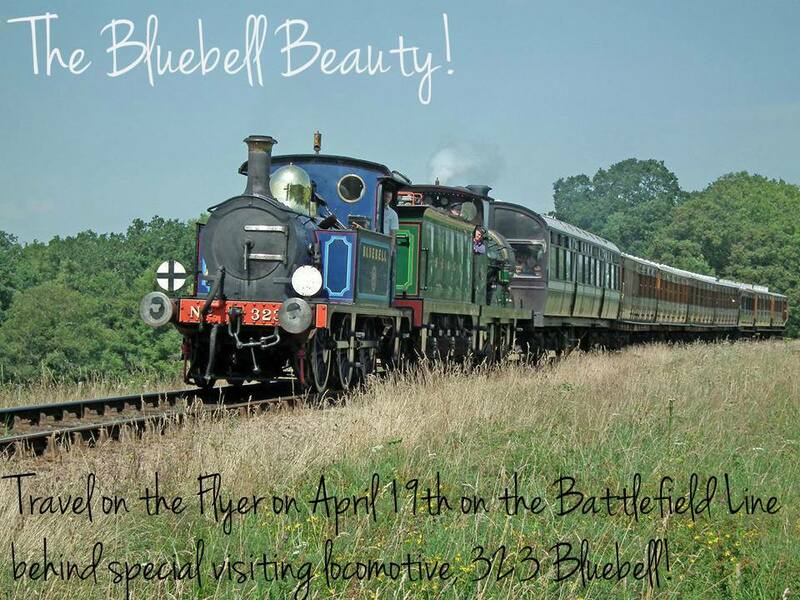 Bluebell Railway’s P-Class 323 is a worthy locomotive to pull the Flyer, I know it will be a splendid occasion. 01/04/2014 in 1306mayflower, Asperger's flyer.